The past of the Jewish book is long and complex. We have to go back to tablets, then to a long history of scrolls, first papyrus and then parchment. The introduction of the codex changed little at first, and for sacred use, has still changed nothing at all. But for Jewish books of study, the codex emerged as the form of choice by the Middle Ages. It has, as historian Robert Darnton has written, “proven to be a marvelous machine—great for packaging information, convenient to thumb through, comfortable to curl up with, superb for storage, and remarkably resistant to damage.” (1) When one looks closer, a very particular form of the book—more precisely, of the page of the book—has emerged in the past millennium that reflects, and in turn animates, Jewish learning and mentality. The quintessential Jewish book is the mikra’ot gedolot: each page displays a central text, in this case the Bible, with commentaries, always in dialogue with each other, surrounding it. The page is thus highly self-referential: one paragraph on the page disputes another paragraph a few inches away, and both are discussing the text in the center. 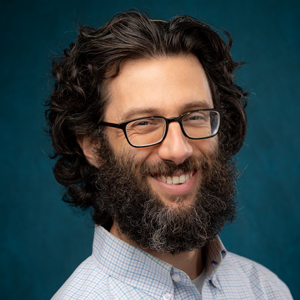 The same form is emulated also in the traditional Talmud, the standard printings of Maimonides’ code of law, and even the authoritative law code, R. Joseph Karo’s Shulchan Arukh. No text—even as centrally canonical a text as the Torah itself or the authoritative code of Jewish law—is ever allowed to stand alone; the “table” without the “tablecloth” would be bare. It also would not be universally Jewish, because the dialogue and give-and-take is what allows, for example, Ashkenazim and Sepharadim to share the same book of Jewish law. Jewish texts are fundamentally about the point and the counterpoint encountered simultaneously. Perhaps this is even more deeply embedded in Jewish learning, going back to the “pairs” of Second Temple Sages, the Houses of Hillel and Shammai, and the ever-contending Talmudic colleagues Rav and Samuel, Rabbi Yoḥanan and Resh Laqish, Abbaye and Rava, and numerous others. Graphically, this takes a new turn with the printings of Rashi and Tosafot, the Rambam and the Raavad, and so on. Now the page confronts the reader—better, the learner—with dispute, dialogue and dilemma before one has even begun. The first thing one knows is that there is no consensus on this page but rather an eternal dynamism and continuous hyperlinking, fostering creativity and active engagement, with each text opening up other texts. The future of the Jewish book will take two complementary forms, both already seen in sites now changing the face of Jewish learning. 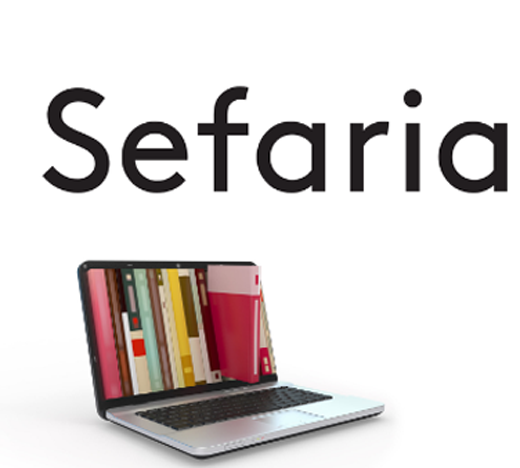 On the one hand, we have the model of Sefaria (www.sefaria.org). The sheer quantity of data available in digital form is stunning. (The Bar Ilan Responsa project did this earlier but less accessibly.) 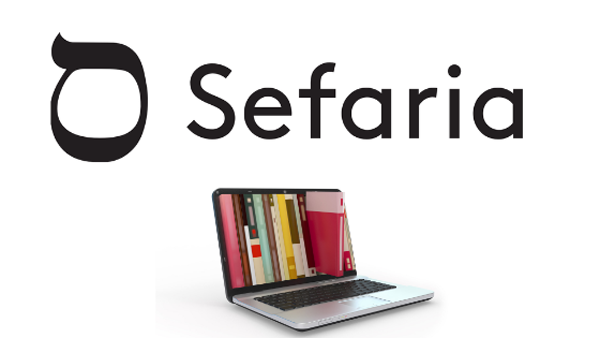 More striking is the crowd-sources aspects of Sefaria, most famously the Source Sheets used for lectures and presentations, but actually entire translation projects have been crowd-sourced as well. This is a kind of learning, and contribution to learning, enabled by online technology. This sort of online book, highly curated and yet richer and more multilayered than any traditional book, can be seen in a 21st-century version of the mikra’ot gedolot on ALHATORAH.ORG (www.alhatorah.org). Here we can begin, as we have long done, with a page of Torah accompanied by Rashi and the Ramban. But what are Rashi’s rabbinic sources for this comment? They can be opened alongside. And how much of Ramban’s critique is new, how much was found in slightly earlier commentators from the previous decades (such as Bekhor Shor or Radaḳ)? How about his rabbinic sources? And that challenge to Rashi—how can it best be parried? What have the supercommentaries on Rashi done? These, too, can open alongside. What does that word mean in Tanakh, anyway? Where else does it appear? The concordance has a contribution to make. A click could produce concordance results both in words or in graphs, where one can, with a simple highlighting and coloring tool, mark up the text to make a great classroom presentation. Pressing another button provides instant literary analysis. The page is getting crowded, but it’s a dignified discussion, not a cacophony, since each window has its purpose and its link. As each voice is heard, its window may disappear, leaving its mark on the discussion and on our thoughts. At last, we are back to the primary text, with our two main expositors. The ability to pit the texts against each other on the same page is thus much of what our learning is all about. And one thing the history of the book teaches us is that the form of the text matters, in ways large and small. The same is true with digital books, and learning will both always and never be the same. 1) Robert Darnton, “The New Age of the Book,” New York Review of Books, March 18, 1999, 5-7, reprinted as Chapter 5, “E-Books and Old Books,” in Darnton’s collection, The Case for Books: Past, Present, and Future (New York: PublicAffairs, 2009), 67-77, citation at 68. 2) Darnton, “E-Books and Old Books,” 76.